Aldo Leopold (January 11, 1887 - April 21, 1948) was an American ecologist, forester, and environmentalist. He was influential in the development of modern environmental ethics and in the movement for wilderness preservation. Leopold is considered to be the father of wildlife management in the United States. Leopold served for 19 years in the United States Forest Service, working in the American Southwest (New Mexico and Arizona) until he was transferred in 1924. He served two years in Arizona (1909-1911). An advocate for the preservation of wildlife and wilderness areas, Leopold became a founder of The Wilderness Society in 1935. Named in his honor, the Aldo Leopold Wilderness lies within the boundaries of the Gila National Forest, in New Mexico. Leopold was instrumental in the proposal for Gila to be managed as a wilderness area. As a result, in 1924, Gila National Forest became the first designated wilderness area by the US government. Together, the Leopold Wilderness and Gila National Forest, often are considered the starting point for the modern wilderness-conservation movement throughout the United States. This is a short, simple hike along a ridegline high in the Catalinas to a simply spectacular lookout point. From the Knagge trailhead at the end of Incinerator Ridge Road head out east on the trail. It gradually climbs from the beginning. Within 0.1 miles, the signed Knagge trail breaks off left and heads downhill. Stay straight on the Incinerator Ridge trail and keep slowly climbing. There are no route finding issues at all. The trail wanders along the some nice trees before reaching it's high point at Incinerator Peak, sitting at about 8135 feet. Beyonf the grassy peak, the trail or route actually continues on to Leopold Point with it's huge boulders on top. You will descend about 150 feet from the peak down to a beautiful little pine-littered saddle before climbing back up on the left or north side of Leopold Point. The trail just climbs right on up, passing along some minor false summits and wrapping around a couple of huge boulders before terminating on the boulder laced summit of Leopold Point where huge, sensational views looking south and east await. You can easilt see Mt. Wrightson and the Santa Ritas. Closer by is an outstanding look at the sheer wall of Barnum Rock and the forested summit of Green Mountain behind it. The Rincons are right there behind them and to the east you can see all the way to the Pinalenos. Looking back the way you came gives nice views of Incinerator Peak, Kellogg Mountain and the towered Mt. Bigelow. 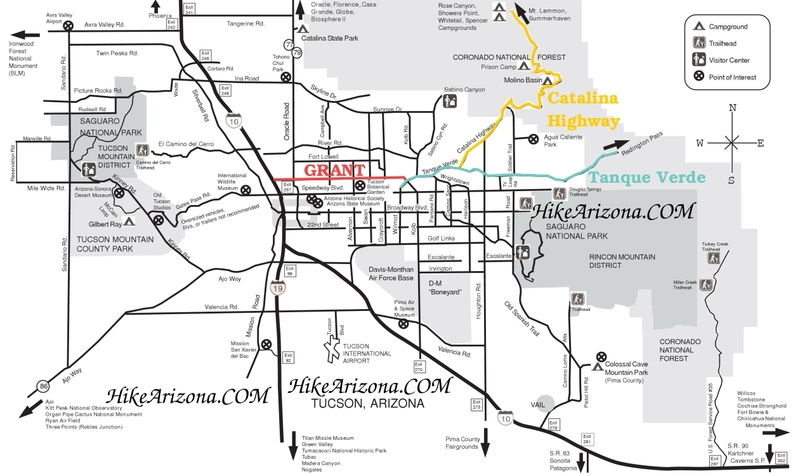 Take the Catalina Highway off Tanque Verde Road in Tucson up into the mountains. 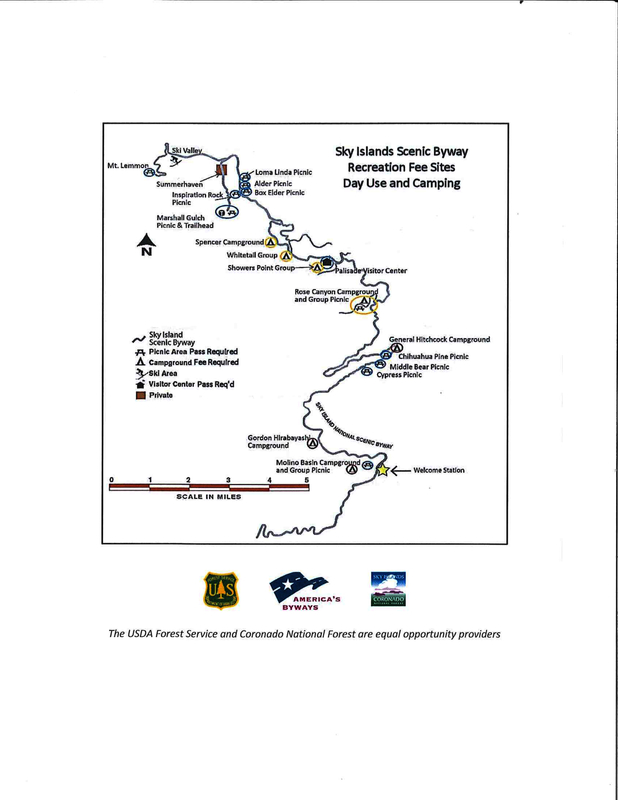 The Green Mountain and San Pedro Vista parking areas are at milepost 18. A short ways beyond this a gravel road takes off to the right, signed as Incinerator Ridge Road. Turn onto this road and drive between .25 to .5 miles up to the end. The road is a mildly bumpy and rocky, but a passenger car can make it as long as you go slow. If you see the Palisade Visitor Center on the Catalina Highway, you have passed Incinerator Ridge Road.